All .hex files are available on the SVN server. 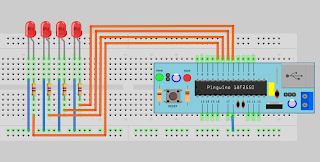 Pinguino32-DIY is now fully functional. The board is working with its own HID boot loader. We have now some work to do to incorporate this board in the Pinguino IDE. The job should be done this week and we should propose a new version of the IDE next week-end !! At this moment,’GENERIC250F128′ works with a 8 Mhz crystal for a finally system frequency of 40 Mhz. The goal is to make it work with the internal oscillator. This design is published as GPL and you are free to build it, modify it and of course improve it. 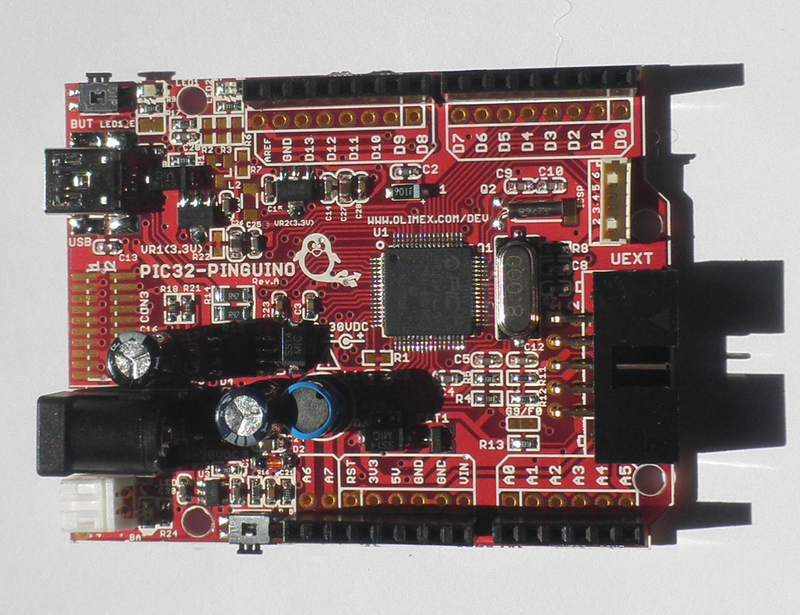 It is pin to pin compatible with the PIC32MX220F032B wich can be used with the same bootloader. We are proud to propose this board as ( probably ) the first 32 bits home-made system. 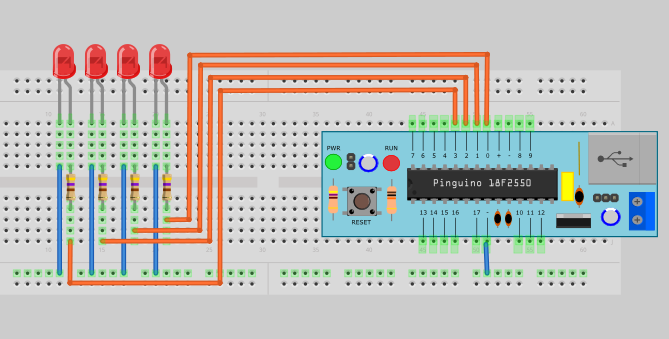 With this board, Pinguino IDE keep is DIY spirit !! Author jpmandonPosted on 12/05/2012 Categories Uncategorized14 Comments on PINGUINO32-DIY is ready !! PinguinoX.3 is now available in the download area for both Linux and Windows computer. With the help of all the users and the developers team, many improvement have been added to make Pinguino a better development environment. Still in Beta, as usual, but to be improved with your remarks, critics, suggestions…..
Download revision 381 on website. Author jpmandonPosted on 05/05/2012 Categories Uncategorized13 Comments on Pinguino X.3 !! 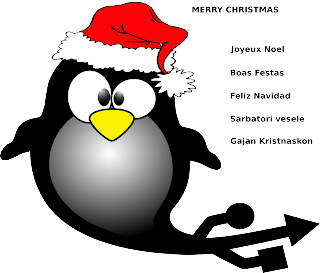 Author jpmandonPosted on 23/02/2011 Categories UncategorizedTags Uncategorized7 Comments on PIC32-PINGUINO is here !! On linux, we have some problems to use the Serial object to communicate with Pinguino CDC. Unfortunately, the RXTXbin module of JAVA don’t recognize the /dev/ttyACM0 port. I found a solution to fix this problem, and a simple working example is detailed here. Now the Pinguino side of my fantastic application ! !